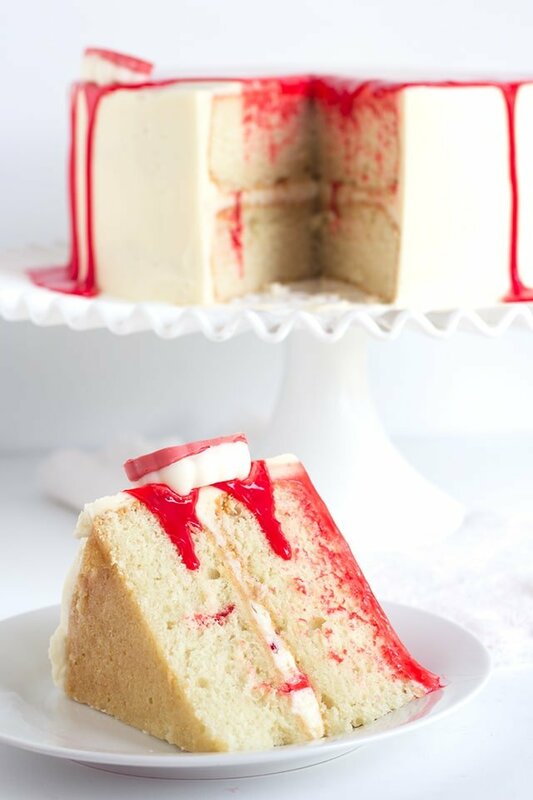 Tender white cake filled with pockets of red gel and covered with a white vanilla frosting. 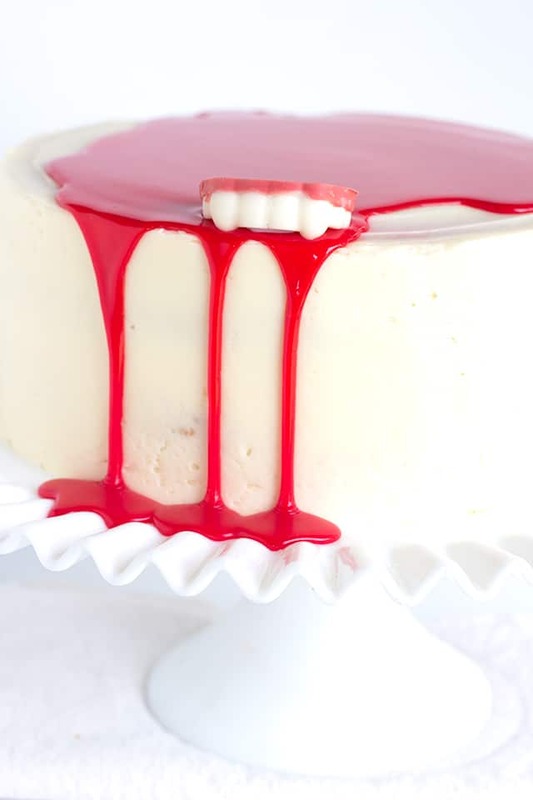 It’s then topped with a blood red white chocolate ganache and some chocolate vampire fangs are added for a gory garnish. Do you remember reading any of the Goosebumps books? I do and was super excited to hear there was a movie coming about in October! 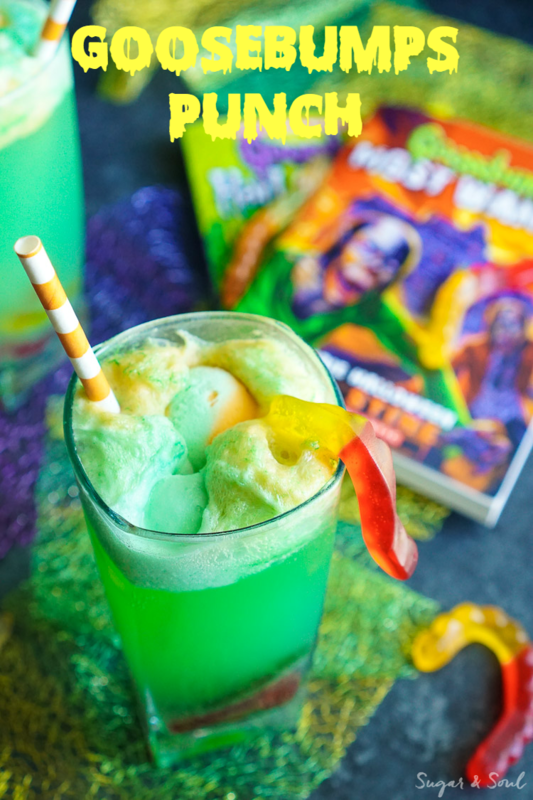 I immediately put together this Goosebumps White Vampire Bite Cake for the occassion. 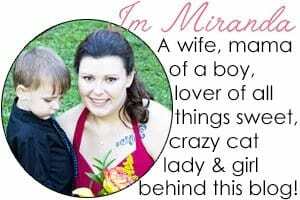 I seriously hope I didn’t just date myself with this paragraph. While I’m at it I’ll also say I used to love the scary short story books that were all black and white. Does anyone remember those? It was a happy day to come across those in the library. They must have been really popular because they were always checked out. I’m completely off subject now. 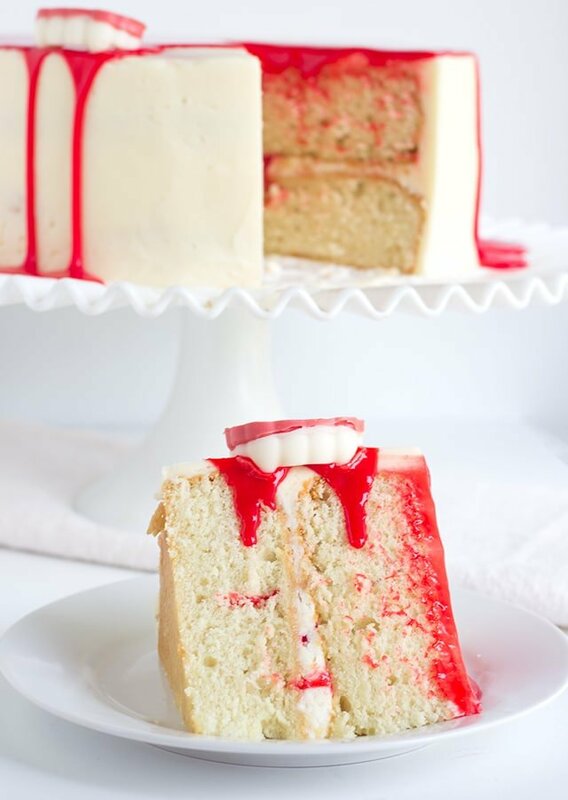 This white cake recipe is pretty darn tasty. It tastes like a sugar cookie to me which I LOVE. My mom had a piece and thought it was a tad dry, but it had been cut and sitting wide open getting all kinds of air the entire day. That must have been the issue, but I had a fresh cut piece and fell in love. I found the silicone vampire fang mold at Walmart. Who jumps up and down and gets excited for a mold like that? This girl. That’s who. 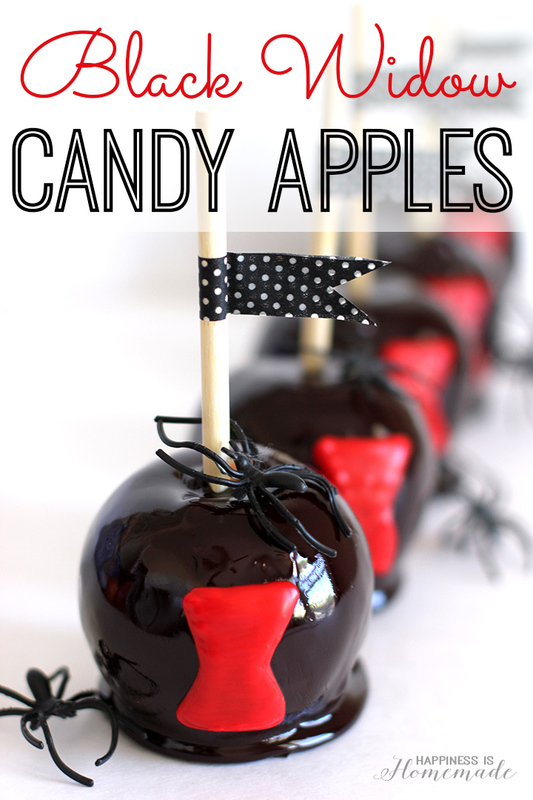 Probably other dessert crazed Halloween fanatics would do the same, but I can’t say for sure. Preheat oven to 350 degrees. Spray non-stick cooking spray on two 8.5 inch pans. Add 1 tablespoon of flour to each pan and roll the flour around to coat the insides of the pans. In a large mixing bowl, add in the butter, vegetable oil and sugar. Mix on medium for five minutes. The mixture will be very light and fluffy. Add in the vanilla extract and the egg whites one at a time. Once one egg white is incorporated, add another. Repeat with the remaining egg whites. Scrape down the sides. Alternately add the flour and buttermilk mixture into the butter. Always begin and end with the flour. You can do 3 parts flour and 2 parts buttermilk. Divide the batter into the two 8.5 inch pans. Place in the preheated oven and let bake for 15 minutes at 350 degrees. Reduce heat to 325 degrees and let it bake for another hour until the top is golden brown. To check to see if the cake is done, place a toothpick into the center of the cake and if it comes out clean or with moist crumbs it's done. If it has batter on it, let it bake a little longer and check again. Let it cool for about 20 minutes inside the pan. Turn out onto a cooling rack to finish cooling. In a mixing bowl, add in the butter, powdered sugar, milk, and vanilla. Mix on low until the powdered sugar is combined. Once the powdered sugar is incorporated, turn the mixer on high and beat for about 3 - 4 minutes until the frosting is light and fluffy. Once the cake is completely cooled, place it on a cake stand. Place a layer of cake onto the stand. Place a layer of frosting evenly on top of the cake. Poke the frosting and cake with a skewer. Squirt the red gel into the holes and run the skewer into the hole again. It will leave strips of red gel throughout the cake. Add the other layer of cake. Repeat with poking holes into the layer and adding red gel. Frost the cake evenly. Be sure to add enough frosting that you don't have to worry about it picking up crumbs or the red gel coming to the surface. I started by frosting the sides and then placed a thin layer on top of the cake. The top did mix into the gel slightly but it was mostly covered with the ganache. Immediately after frosting the cake, place it in the fridge to chill for about 35 minutes. In a microwave-safe bowl, add in the chopped white chocolate and heavy cream. Place in the microwave for 1 minute. Let the chocolate and heavy cream sit for about 3 - 5 minutes to help the chocolate melt. Stir until the chocolate and cream come together into a beautiful ganache. If there are still lumps, place it back into the microwave for another 30 seconds. Stir. In a small bowl, mix the candy oil and red gel paste color. Add about 1/4 cup of the white chocolate ganache to the red color. Stir to combine. Pour the red colored ganache back into the bowl with the rest of the ganache. Stir until incorporated. Pour the ganache onto the chilled cake. This will slow the ganache down and let it set up faster. I didn't end up using all of my ganache on the cake. I liked how there was white peeking out on the top of the cake. Melt the white candy melts in a small glass bowl by microwaving it for 30 seconds and stirring. Repeat the microwaving 1 - 2 more times stirring in between. Place into a sandwich bag and pipe into a silicone vampire fang mold. Make sure to only fill it to the line where the teeth end. I found my mold at Walmart. It's red and makes 10 sets of fangs. Let the white candy melts set up. It will take about 10 minutes. Melt the pink or red candy melts in a small glass bowl by microwaving it for 30 seconds and stirring. I used half pink and half red to get the color that I used. Repeat the microwaving 1 - 2 more times sitrring in between. Place into a sandwich bag and cut a small hole into the corner of the bag. Fill the molds to the top. 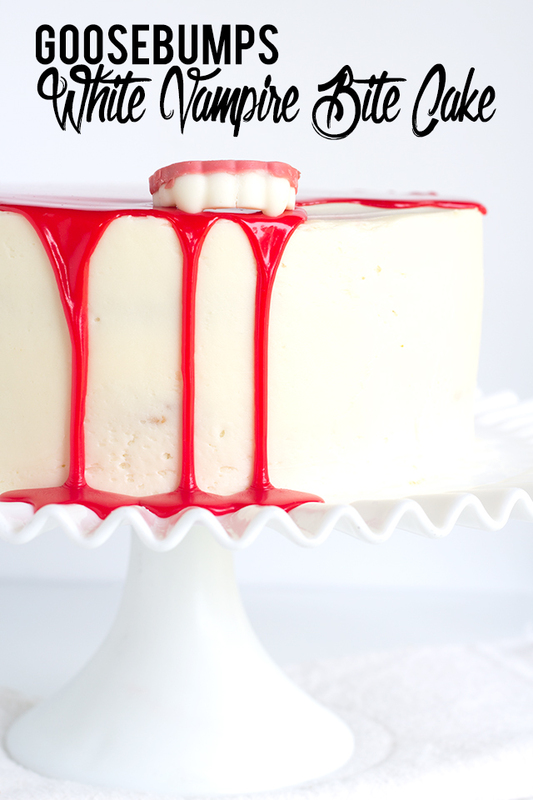 Run a butter knife along the top to smooth out the tops of the fangs. Let the candy melts set up. To speed up the process, place in the fridge. Otherwise let it set for about 10 minutes. Pop the fangs out and place them on the top of the cake. If you are interested in joining the Pop Culture Blog Hop, please email Maggie from The Love Nerds ([email protected]) or Rebecca from Sugar & Soul ([email protected]). 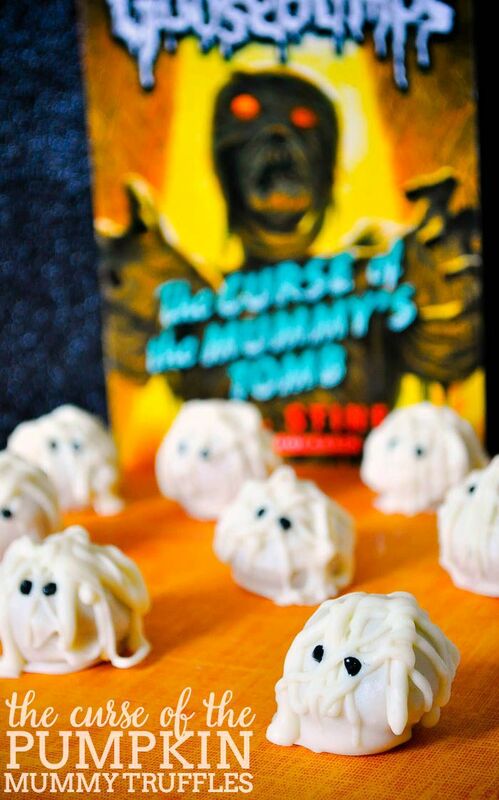 I remember reading Goosebumps books as a kid too! They always freaked me out… 😛 This cake looks like a perfect homage!